He is the founder of Al Waha International school, Jeddah, one of the best private schools in the kingdom of Saudi Arabia. 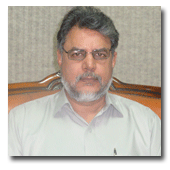 Mr. Zia Nadwi is a man with a vision for educational institutions and has the capability to translate the vision to reality. Al Waha is a testimony to this. Son of late Dr. Abdullah Abbas Nadwi, an eminent Islamic scholor of international repute, Mr. Zia was destined to use all his professional qualifications received in Leads, U.K. to serve the expatriate community in Jeddah by establishing quality educational institutes. 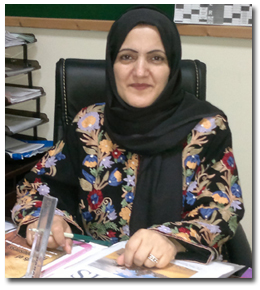 DPS Jeddah was established in the year 2004 & has seen a steady growth in the first 2 years. Thanks to immaculate planning and execution by Mr. Zia Nadwi. He is a team leader, who can motivate both academic & administrative staff. Welcome to Delhi Public School (DPS) Jeddah website! The founding members of the School were concerned about the development of the whole child — their intellectual, emotional, social, physical, and moral growth. This remains the aim of Delhi Public School today. DPS strives to develop intelligent, thoughtful, and caring individuals with educated hearts as well as educated minds. We never lose sight of why we are really here and that is to prepare children for further academic challenges and to guide them to be responsible, compassionate, and active citizens of the world. The academic program at DPS is notably challenging but sufficiently flexible to meet the needs of children with varying degrees of readiness and ability. Although significant attention is given to the academic subjects and the co-curricular programs it is believed that the growth of the whole child, including his or her attitudes and values, is equally important as any particular academic discipline, knowledge, or skill. Further, DPS strives to have a diversified student body. We are a community of learners who value and are strengthened by the wide variety of our members. We believe that diversity unites the academic environment and is of paramount importance in preparing our children for life in an increasingly diverse and complex society. We are a school where individual differences are respected, welcomed and valued. I am honored to lead a school whose mission exemplifies those qualities so essential to education in the 21st century. The promise of Delhi Public School is a hope for the future. We hope you are as excited as we are to discover a school that helps young people thrive as learners and become thoughtful, engaged leaders in society as well.